Does that shrill whistle really do it for him? You’d think living in the bush would be a quiet sort of life, but one of the things that strikes you most when you come to the Top End is the endless variety of bizarre noises, especially at night. Some of them are quite soothing, while others seem designed to set your teeth on edge. For example, and allow me to anthropomorphize for a second, the male brush-cuckoo’s call has to be one of the worst. He arrived at the beginning of the wet season then for weeks on end he let out the same repetitive whistle every few minutes, on and on he went until it seemed either he must go mad with desperation or I would go mad with dispare. Then finally a female! fantastic, at last his search was over and harmony would reign in the bush. Not so fast. The female has a call like a deranged football referee. Just as her suitor’s about halfway through his own frantic repertoire she interrupts him with a shrill, whistling demand that cuts him off mid call. It’s pretty clear who wears the pants in this relationship. Now the spangled drongo I could listen to all day. Apart from studying birds, I am also part of Ganesh Consultants, a a creative service based in the Top End of Australia. This short film won first prize in the Open Category of the Wild NT film competition and is part of the UN year of Biodiversity. As a spoof corporate video it highlights humans lack of responsibility to the environment; it also questions the current view that quantative economics will save the day. This short documentary follows the successful ‘Save Ningaloo’ campaign of 2002. Filmed in Perth and Coral Bay, Western Australia it shows how people power can overcome even the most stupid development ideas. A spoof tv advert, Banks, was chosen by GreenPeace to be used as part of their video display at this years Glastonbury. It uses the images of the original, Trees, with a different voice over and some graphic changes. A TV ad entered into a competition for a well-known snack food. It didn’t even make the top ten…which shows how much taste these particular corn snacks really have! A shameless Saul Bass tribute. Thank you to all you wonderful volunteers! I would like to sincerely thank the following people who volunteered their time, expertise and knowledge of Australian birds in a variety of ways to help me collect social values data over the last few months. A special thank you goes to Clive and Alan who persevered with some of the largest data collection tasks. Ian Abbott WA, Greg Barrett WA, Rob Buttrose VIC, Fiona Colbeck WA, Maureen Cooper QLD, Joan Dawes QLD, Fiona Douglas NT, Noela Edwards QLD, Susan Freeman NSW, Vanessa Keyzer NSW, Cilla Kinross NSW, Grace Lewis VIC, Megan Moore VIC, Clive Nealon WA, Kirsty Sadler WA, Alan Sergi VIC, Hollis Taylor NSW, Les Terrett NSW, Janelle Thomas VIC, Jean Tucker QLD, Paris Yves VIC. I also appreciate the assistance of many staff members working in various organizations from govt environment departments bird conservation organizations to state and territory art galleries and libraries to shire councils and bird tour operators. Analysis on the social values data and development of social profiles for each native bird species will begin shortly. Preliminary results will be available soon. Please contact me if you would like to know more. Threatened species management is a dynamic social process often involving diverse groups and individuals such as government wildlife conservation managers, environmental policy managers, non-profit environmental organisations, land owners/managers, businesses, community conservation groups and individual champions. Each of these groups/individuals is defined by their motivation in respect of the species under threat. Group members may be involved due to deriving a strong social identity from their participation. They therefore tend to conform to the norms of the group in order to be accepted by it and aim to achieve a mutually agreed outcome. Individuals in contrast may have a more direct relationship with the species in question and tend to have high emotional investment in achieving their desired outcome. Motivations are often highly charged and oppositional and are one of the most common reasons for the failure of threatened species recovery programs. Clark and Wallace (1998) have written about the social process in threatened species management and how to conduct social process mapping. They define social process as: “the interaction of people as they influence the actions, plans or policies of other people, even if they are unaware of each other. It is the process by which we create and sustain the human community.” In social process mapping one identifies that the interaction between people and the problem can be the cause of the endangered species crisis, while the interaction among people can be the site of the solution. The interaction between the personal functional values of group members, their personal environmental identity and the various values they hold for the threatened bird in question is a complex and fascinating dynamic which I will be attempting to unravel in my case studies and which will undoubtedly bring new insights to the success or failure of recovery programs. Identifying the means by which areas of conflict amongst opposing parties can be resolved in order to develop broad agreement in terms of strategy and desired outcomes will be invaluable to those attempting to pursue future conservation programs. 1. Clark and Wallace 1998. Understanding the human factor in endangered species recovery: an introduction to human social process. Endangered Species Update 15(1): 2-9. 2. Clayton and Opotow 2003. Identity and the Natural Environment: the psychological significance of nature. MIT Press: USA. What a great discovery. The IUCN WCPA Cultural and Spiritual Values of Protected Areas Task Force has defined a typology of intangible values associated with protected areas, many of which overlap with Kellert’s typology of wildlife values which I have based my research on. The WCPA values include: existence, recreational, aesthetic, research and monitoring, educational, identity and cultural. It’s quite possible that educational, r&m and identity could apply to birds so further research on this is needed. The Task Force Leader has recommended this book for further reading: Harmon and Putney 2003. The full value of parks – from economics to the intangible. Rowman & Littlefield. Just as exciting is the fact that the Task Force Leader is based in Scotland, around the corner from where I spent a formative year between school and uni. How about that. The network seeks to identify, define, and provide guidelines for managing the cultural and spiritual dimensions of protected areas. The Task Force on the Cultural and Spiritual Values of Protected Areas was established in 1998. Anyone who is interested is encouraged to participate, especially if you are willing to invest some time to further the Task Force’s activities. Since all participants in the Task Force, including the Coordinator, are volunteers, its work advances quite slowly. The WCPA has played an important role in bringing together and disseminating methodologies for the identification and quantification of the economic values of protected areas. This work is complemented by that of the Task Force, which seeks to identify, define, and provide guidelines for managing the Cultural and Spiritual dimensions of protected areas. This work is accomplished through e-mail communication among the network participants, working sessions at major events, such as WCPA meetings, and through individual projects. The project, Birdland (http://pool.org.au/birdland) calls for celebratory, thoughtful, descriptive, creative works that engage with the human/avian relationship. The most suitable written and audio works will be selected for inclusion in a radio documentary exploring birds and our sense of identity as Australians, as well as the science of diminishing bird populations. 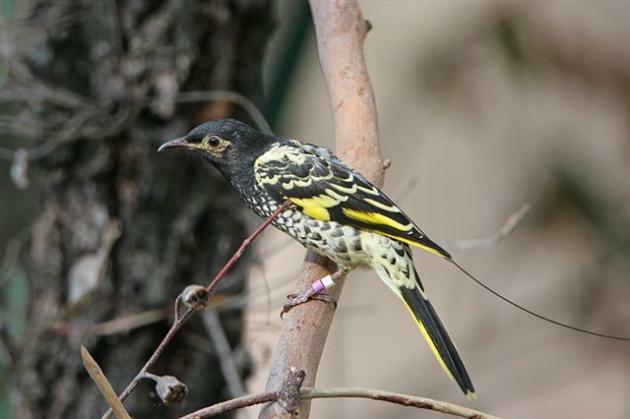 There are some interesting posts expressing a range of attitudes towards birds including friendship (humanistic value), physical beauty (aesthetic value), release of captive bred threatened regent honeyeaters (scientific value), the right of a species to exist beyond human purposes (moralistic value), and so on. Check out some contributions by my alter ego genkigarden. I got in touch with Gretchen last week to let her know about my research and share some thoughts about birds and since she was travelling up to the Daly for another project, we arranged to meet so she could interview me. If the interview is any good (ie. I’m not too dull for words) parts of it may be broadcast on Radio National as part of Gretchen’s Birdland radio programme, probably in about October or so. Check back later for details! quick poll – are birds important to you?